One pastel bunny, what will your look like? Let your imagination play and see a inner land of pastel play the possibilities are endless. Cover page as shown by dragging pastels across the paper on their sides. Draw random patterns over the top as desired. Rub in colours on bunny. 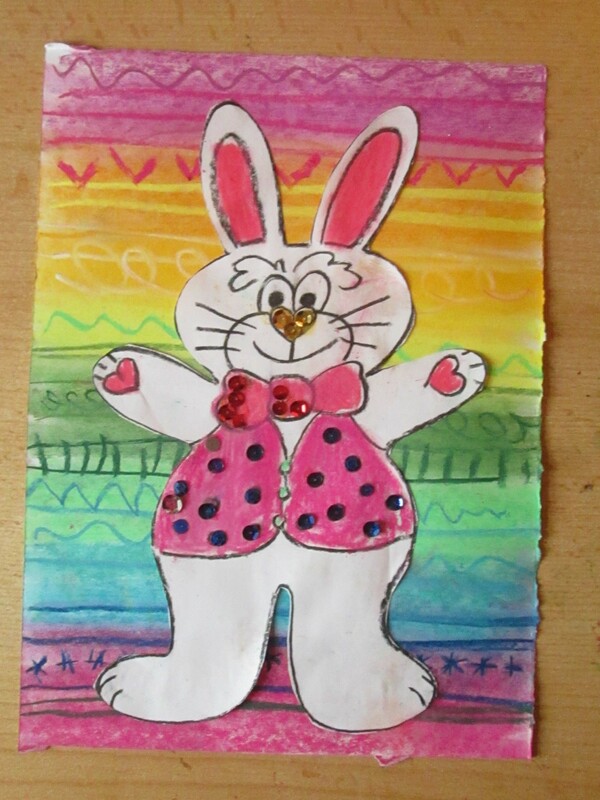 Cut out bunny image & glue onto pastel drawing. One pastel bunny, what will yours look like? Let your imagination play and see a inner land of pastel play the possibilities are endless. 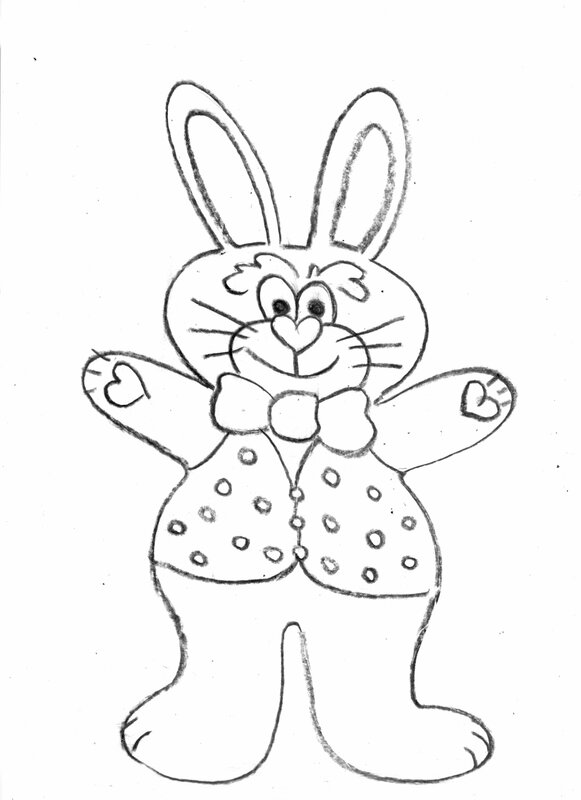 Bunny cut out, click on image then right click and save as to download for printing.